This week,or rather the last few weeks have been all about weddings and wedding preparations.Two very dear friends of mine are getting married this month, and the usual craziness of searching for saris and sorting out blouses has driven me completely balmy. Each wedding means 6 or 7 events from cocktails to brunch to the actual wedding days and of course very large receptions……I’ve finally given up! I have no idea what the end result will be, but I figure as long as one wears a smile, and heads out with confidence you really cant go wrong , right !? In addition to all this two days ago I realized the following, I needed to find 2 suitable looks for day time events,and these looks had to be smart yet casual, light and cool (outdoor, mid day ,Mumbai heat and sun type cool) and yet wedding-ish enough !!! huuuuum ………So here is my take on what I would do if I had my way. Virtual shopping, what better way to life the spirits except for actual shopping which of course would be bliss. 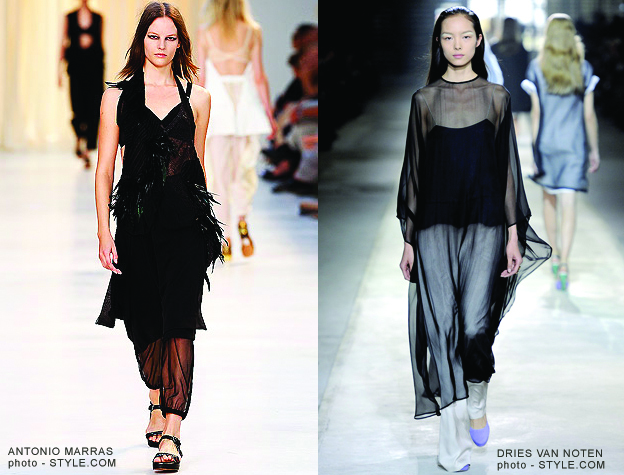 From an amazing collection by Antonio Marras 2011 Spring ready-to-wear : romantic, delicate mastery, lace, embroidery and layered. 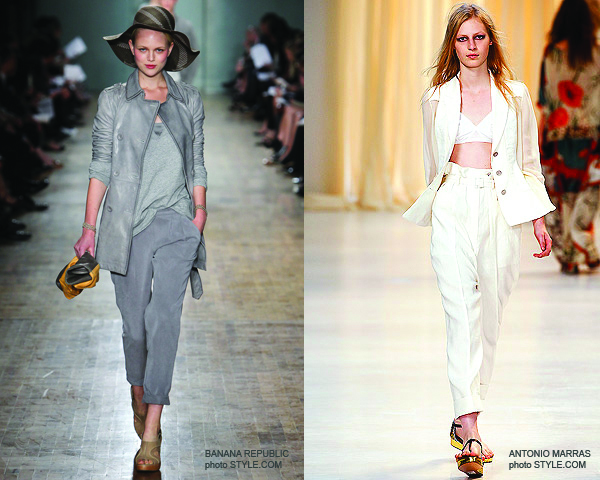 Love these “cinched at the ankle pants” a great alternative to the churidar ! 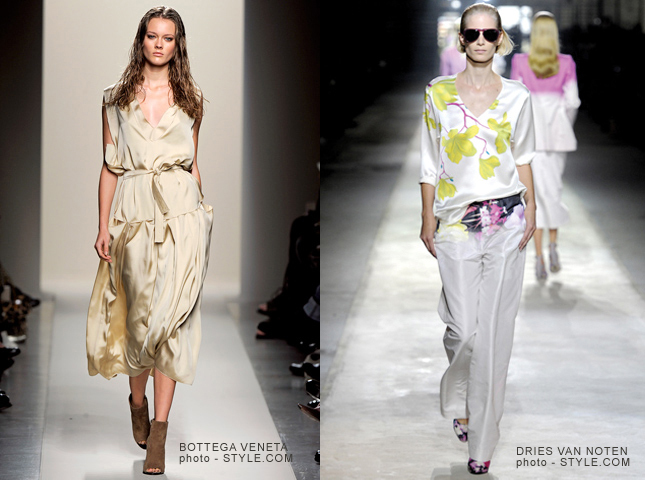 Also love these looks from Bottega Veneta and of course Dries Van Noten …. I have also been on a trouser hunt these last few weeks, and this is what I would buy if I had my way ….. If I had my way ! !